I was an observer for Lund University at the United Nations climate negotiations in Paris, 2015. Here are posts from a very busy and exciting two weeks! 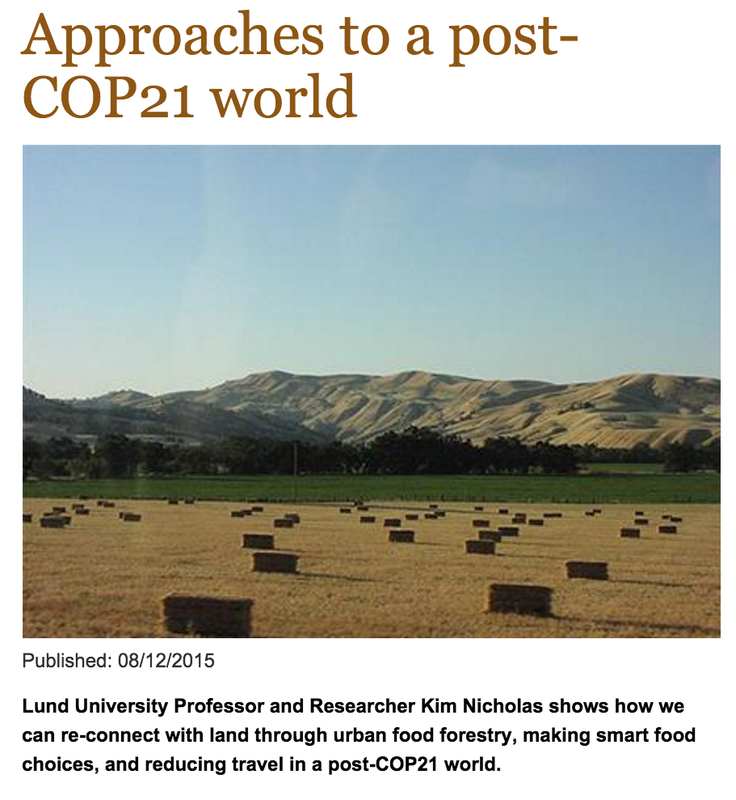 My exhortation for researchers to seize the momentum from Paris and help create a 1.5° world. 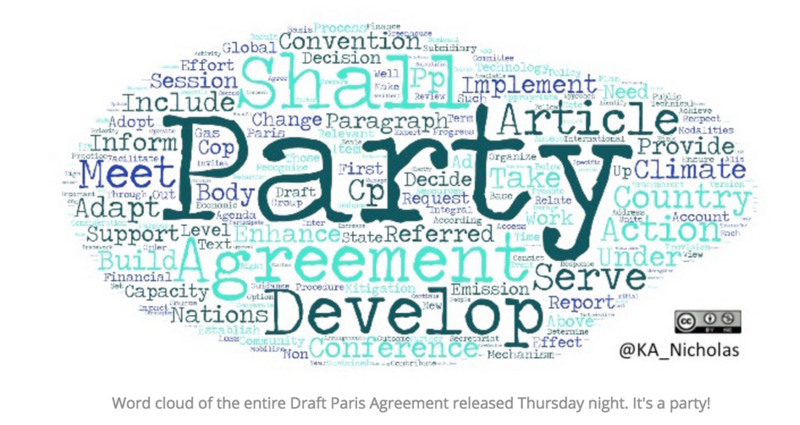 Live Tweets from negotiations, press conferences, side events, & everything in between. My story for Road to Paris covering top scientists' response to the 2nd-to-last version of the Paris Agreement text. 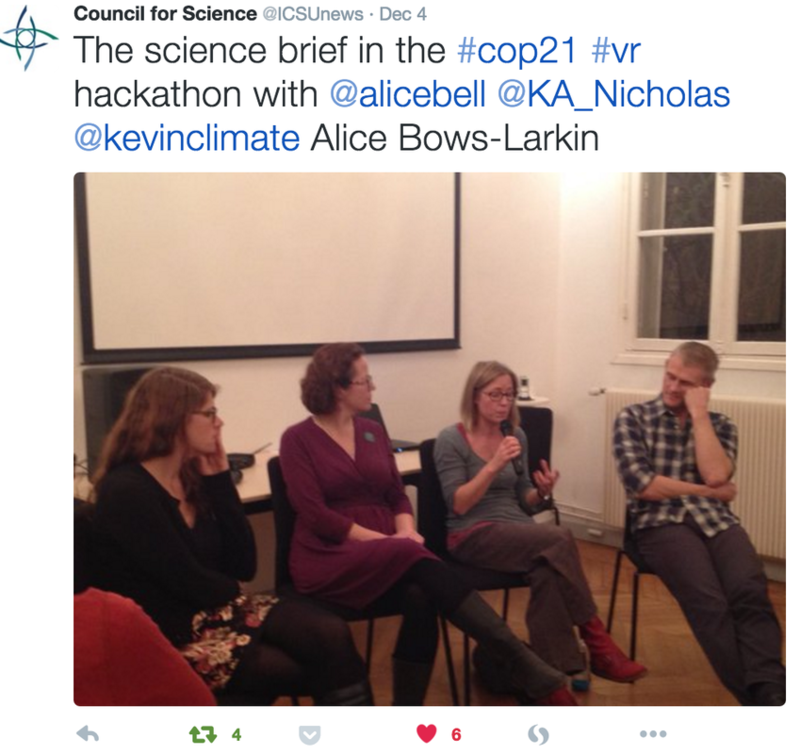 I was also live-Tweeting the event for ICSU- Storify here. 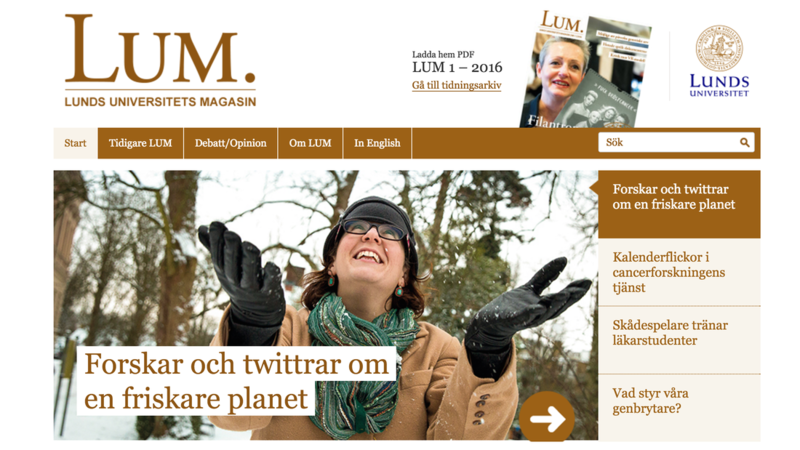 Interview with Lund University Sustainability Forum on my research. Thoughts after a week in the "Climate Generations" civil society zone. A post I wrote getting ready for Paris. The penultimate agreement text was released Thursday night. I stayed up way too late that night dissecting it with friends and speculating about what was happening in the closed-door "solutions indabas," and made this word cloud showing the text was a party! 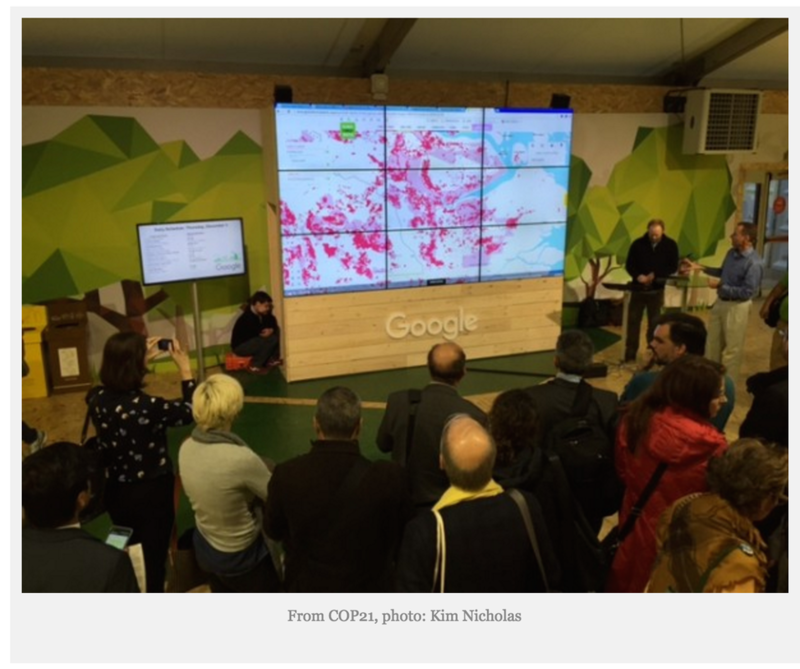 I participated in a hackathon bringing together scientists, storytellers, and VR experts to design immersive experiences of climate change- read more in this post from ICSU.